Designed for ages 12 and up (and some mature 11 year olds) the BLAST program can prepare children to interview for a babysitting job, select safe and suitable games and activities, prevent accidents, perform first aid, and begin babysitting safely and competently. 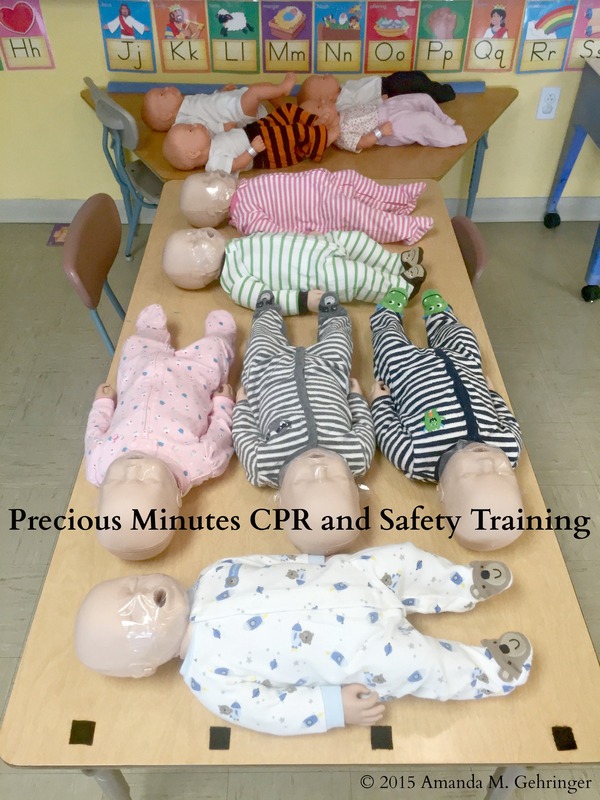 Participants will practice their infant care skills on manikins so they can feel as confident as possible. “Are You Ready to Care for Children?”, Sitter Qualities, Being Prepared to Answer Questions, Be a Good Guest!, As They Grow: Ages & Stages, etc. Before Saying “Yes” to a Job, A Few Important Points, When a Stranger Calls, House Rules and Routines, Safety Rules, Fire, etc. 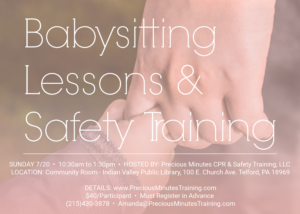 Diapering, Bottle Feeding, Burping a Baby, Spoon Feeding Baby/Toddler, Crying, Preparing for Bed, Behavior Problems, Discipline, Sitter’s Checklist, etc. 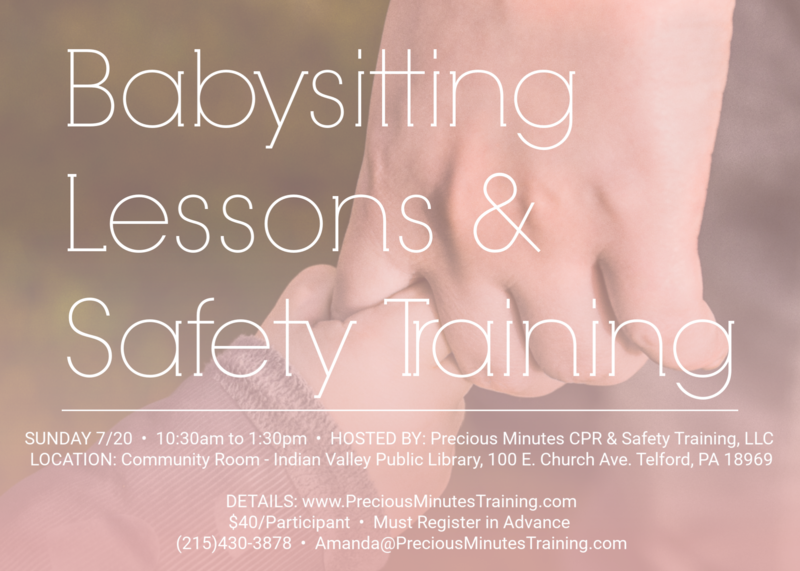 What is an Emergency?, Calling 911 for Help, CPR for a Child or Infant, Choking: Child, Choking: Infant (Under 1 Year of Age), Bleeding and Shock, Bone/Joint/Muscle Injuries, Breathing Difficulties, Burns, Diabetic Emergencies, Diarrhea, Dog Bite, Electrocution, Eye Injuries, Fever, Head Injuries, Insect Stings, Nosebleed, Poisoning, Seizures/Convulsions, Tooth Knocked Out, Vomiting, etc. Games & Songs, Sitter’s Busy Bag, etc. $45-$55, varies on group size and location – small groups (2-4 participants), medium groups (5-9 participants), large groups (10+), private business, public or community organizations, etc. Note (& Discount): ECSI’s BLAST course does not contain a full CPR course certification. The course only recommends discussing these techniques, whereas PMCST goes a step further and has BLAST participants practice these techniques. A full CPR/AED course is also highly recommended for babysitters. Because we feel so strongly about this, any participant along with the parent(s)/guardian(s) of a participant of a Precious Minutes CPR and Safety Training’s BLAST course receives a 15% off discount on an American Heart Association Heartsaver CPR/AED course within one year of receiving the BLAST course training. PRICE: IVPL receives special pricing at $40 a participant. Don’t miss this opportunity!